At Team MJV we partner with our clients and work as a Team to ensure all expectations are achieved. Our unique coaching philosophy creates a strong and cohesive working environment for our team members. This methodology creates a continuous mentoring environment within all levels of our organization. Our coaches guide, encourage and teach each team member to effectively execute our individualized plan for each customer. The knowledge gained from providing over 30 additional services allows us to handle the most routine to the most unique problems. In addition our Team Members are proactively eliminating problems before they occur. We pride our Team on being professional. Uniformed team members take pride in their work and provide the highest quality service. Each team member will be polite, friendly and will provide the best service for your facility. Now Hiring with Easy Application! Apply Today! 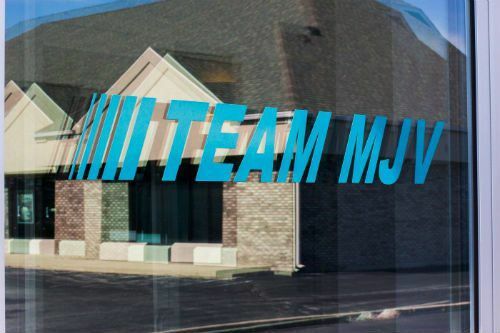 Team MJV is the most innovative building service contractor and professional janitorial group in the Midwest. Team MJV is not only experienced and reliable, but each team member has an interest in our company. Because of this Team MJV’s commitment to providing the best service is paramount to us. Consider our line of Professional High Performance Healthy Cleaning Products. We guarantee you will be pleased when you choose Team MJV as your single source for all your building service needs. If you have any questions, please do not hesitate to give us a call at (765) 449-8641. Thank you for choosing Team MJV.